If you're looking for reliable, high-quality used vehicles then look no further. Choosing a Walser Certified Pre-Owned vehicle means you'll get peace-of-mind with your purchase. Every Walser Certified vehicle goes through an inspection performed by trained technicians to ensure that it meets our stringent standards. Plus, every Walser Certified Pre-Owned vehicle comes with a Walser Autoguard Limited Powertrain Warranty so that you can drive with confidence. Our limited powertrain warranties cover most of the parts that make your car go and can be expanded to cover nearly every assembly on your vehicle. See below for more details plus additional benefits like complimentary 24/7 roadside assistance and travel coverage. Every Walser CPO vehicle comes with a Walser Autoguard Limited Powertrain Warranty. Major parts of your engine, transmission and drivetrain are all covered. Complimentary roadside assistance, travel coverage and rental reimbursements are just more reasons to choose a Walser CPO. 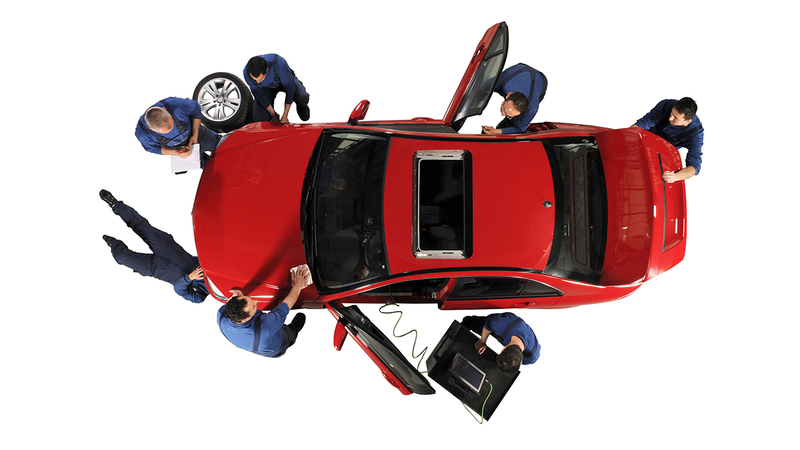 All of our CPO vehicles must pass a thorough inspection before hitting the lot. Buy a used vehicle with confidence. 24 hours a day and 7 days a week assistance. Your roadside assistance benefit pays up to a set amount per occurrence for covered roadside assistance. If your vehicle breaks down due to a covered mechanical failure while traveling over 100 miles from home, you will be reimbursed for approved expenses such as hotels, transportation and food. If your vehicle breaks down due to a covered mechanical failure you will receive vehicle rental coverage. Pistons, Pins and rings, Connecting rods & bearings, Crankshaft & main bearings, Camshaft, Followers & cam bearings, Push rods, Valves, Springs, Guides, Seats & lifters, Rocker arms, Shafts & bushings, Timing gear, Chain or belt tensioners & retainers, Eccentric shaft & oil pump, Engine head(s) & engine block, Water pump, Thermostat, Oil pan, Oil sending unit, Intake & exhaust manifolds, Engine mounts & cushions, Engine torque strut, Timing cover, Valve cover(s), Harmonic balancer, Flywheel (flexplate) & flywheel ring gear, Vacuum pump, Dipstick & tube, All pulleys/tensioners, All internally lubricated parts of the turbocharger/supercharger, including wastegate vanes, Shafts & bearings, Seals & gaskets, Rotor chamber, Main shaft bearing, Rotor internally lubricated parts, seals & gaskets, Transmission case, Transfer case, Torque converter, All internally lubricated parts contained within the cases, Filler tube & dipstick, Vacuum modulator, Transmission mounts, Transmission cooler lines, Seals & gaskets and more! The information provided here is intended as a general outline of the benefits provided by the Walser Certified Pre-Owned Programs. Please refer to your contract or agreement for specific information.